The Samasta Method is similar to traditional Usui Reiki in that it utilizes universal life force energy known as Prana to promote self healing, (in Sanskrit the word Prana means “life force energy”). In Sanskrit, Samasta means “combined” so it combines the use of Apana, or earth energy, to clear energy blockages in the Chakra system, prior to the application of Prana energy to heal. A proper balance of Prana and Apana energies in the body brings relaxation, mental clarity and emotional stability. Further, this process also brings balance to the Ida & Pingala (Male/Female - Sun/Moon) energies of our being, which allows the Nadi's (Pranic energy channels) to flow properly. 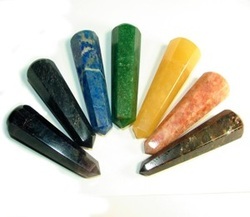 Apana energy is focused using a crystal wand, over the body, while being activated with the tones of Tibetan crystal bowls. 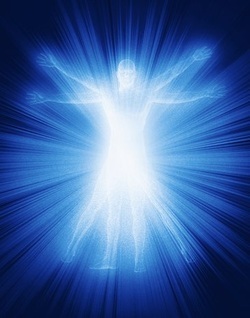 Once the Chakra's are purified, Prana energy is then balanced in the body via the combined intent of the recipient and practitioner, through a series of carefully placed hand positions on, or just above the body, while Solfeggio frequencies are played to assist in providing ultimate relaxation. In the Yoga disciplines, according to Tibetan and Hindu traditions, we all possess energy centers in our body(s) called Chakra’s. For thousand of years, Chakra’s have been described as spinning wheels of etheric energy, each of which govern different bodily functions and processes, as well as emotional states, mental states and corresponding aspects of our spiritual being. This process increases the resonant vibrational frequency of the body, so Samasta is thought to work at the very quantum level of our being. Clinical studies have shown that Reiki and similar energy healing techniques induce the relaxation response while stimulating several other measurable positive effects on the well being of the recipient. (There is published clinical data on the efficacy of Reiki, which is used in hospitals around the world to give medical patients calmness, peace of mind and emotional and mental balance). Reiki, Huna, I.E.T., Shamballa are all similar energy modalities, akin to our Samasta Method. However, Samasta differs in that it also incorporates the use of soothing frequencies and tones during the guided, self healing session. Further, a trained Samasta practitioner applies and provides loving intent, empathy, compassion, non-judgement and positive emotional support. Samasta combines the audible tones of crystal bowls with the use of healing crystals that are held over the body as the tones are played. These crystal bowl tones are tuned to the frequency of each Chakra, to stimulate and move the "emotional residue" which is thought to reside in the cells of the body. Crystal wands are used in combination with the resonant tones of Tibetan singing bowls to facilitate the resonance effect in the body, necessary to clear energy blockages. After the Apana energy cleansing and re-balancing process is complete, solfeggio frequencies are then incorporated with the Prana energy hands on healing aspect of the session. These frequencies positively effect our entire being at the quantum level. (Solfeggio frequencies are mathematically consistent with the Fibonacci numerical sequence, which is found inherent in the foundational structure of matter). Interestingly, the Sofeggio frequencies are thought to "repair" human DNA, (per Dr. Len Horowitz). It is very important to realize that you possess two intelligences, two awareness levels, two parts of your core being. We need to identify and explore the dual aspect of our consciousness, which has been described as the lower self/higher self, or Soul vs Body/Mind. The mind is a necessary tool but a poor master, whereas the soul is the source of our authenticity, our identity, our power, divine purpose and will. In a Samasta session, you are simply assisted by the practitioner to connect with your own soul, your higher self, or source consciousness to bring love, light, healing and peace to your heart, mind and body. Spiritual connection, oneness, divine love. Mental power, intuition, psychic sense. Expression, decision making, inner truth. Please email or call with questions or to schedule your Samasta session. Mark is a Reiki Master, Huna & I.E.T. practitioner. Mark originated Samasta - Combined Energy Healing.